King of The Jungle is the epitome of designer shopping in the inner-west of Sydney, and last Friday 13th was the evening of the Marisa Mu launch party. The anticipation leading up to any show or exhibition can be riddled with anxiety and an overflow of self doubt – it is a confronting experience for anyone to bare their soul to the public but having the support of everyone has been plentiful and very humbling. The personal mission statement of Marisa Mu is to inspire, to wow and to evoke feel-good feelings within people through art. And when you join forces with like-minded creatives who are passionate about art appreciation, alternative but progressive design --- that is when magic happens. Thank you to Kam and Matt of King of The Jungle on South King Street in believing in the Marisa Mu brand and taking on my designs in your beautifully curated boutique. 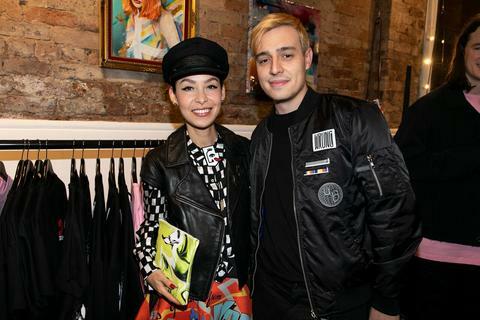 Do yourself the utmost favour and visit this unique concept store that celebrates art and design from your favourite high end designers like Helmut Lang, Maison Margiela to your go-to favourite heritage brands like Tommy and Ralph – to your local gal -- yours truly; Marisa Mu. Creatives from far and wide were treated to a cake extravaganza by the one and only Katherine Sabbath, who created a 6-layered chocolate mud cake, filled with raspberry, lemon curd and vanilla bean Swiss meringue buttercream (if that’s not a mouthful to say then the cake certainly was!). With local DJ’s Jade Le Flay and Jhassic keeping the energy and rhythm pumping for the entire evening, vibes were high and the drinks were abundant. The walls were donned with colourful Marisa Mu leather goods, original artworks and a special curation of luxe brands. Special mention to Sydney-based artist David Porte Beckefeld who transformed Marisa’s signature prints into moving patterns that were projected into the space. 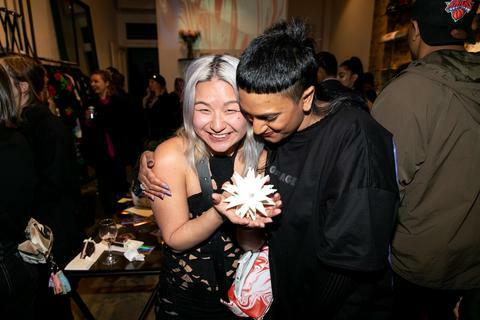 The people, the faces, the fashion and style – look no further for those who are giving a voice to the current creative scene of Sydney and making big and colourful magic. Here’s to a very exciting chapter for both Marisa Mu and King of the Jungle. 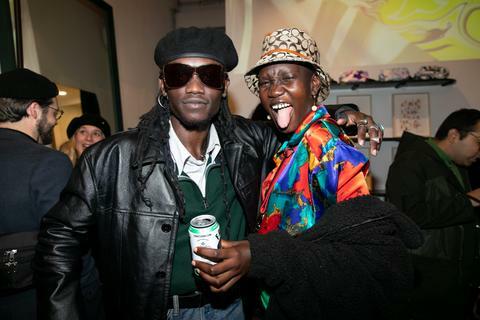 Here are some moments from this truly colourful evening of art, booze, cake and fashion. Photos courtesy of Seany Foster, Brazy and Paige Frankie.